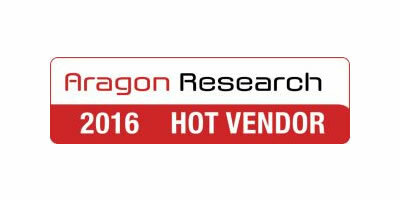 Montreal, Quebec, Canada, December 6, 2016 — Trisotech (http://www.trisotech.com), a global leader in digital enterprise transformation software solutions, announced today that it has been recognized in Aragon Research Inc.’s 2016 “Hot Vendors in Business Process Management Market” report and was formally recognized at the research firm’s annual Hot Vendor and Innovation Awards Ceremony. The awards ceremony took place on December 1, 2016 at the Pullman Hotel in Redwood City, California, and brought together executives from international firms of all sizes to recognize those who are doing something truly new or different in their markets. Trisotech launched its award-winning product in late 2015. Combining concepts of simplicity, usability and collaboration in the cloud, the Trisotech Digital Enterprise Suite is a highly visual and interactive software suite that enables non-technical business people to innovate, transform and improve their business. It brings strategy, design and technology together providing organizations with insight for gaining competitive advantage. More than just modeling, the Digital Enterprise Suite provides tools to ensure organizations achieve their desired business outcomes. The Digital Enterprise Suite provides an intelligent fabric that empowers organizational analysis and decisions via visualization from business discovery through to transformation, innovation and improvement. 1 Aragon Research does not endorse vendors, or their products or services that are referenced in its research publications, and does not advise users to select those vendors that are rated the highest. Aragon Research publications consist of the opinions of Aragon Research and Advisory Services organization and should not be construed as statements of fact. Aragon Research provides its research publications and the information contained in them “AS IS,” without warranty of any kind.